Words are imperialists, seeking to colonise every area of experience. Not content to witness great spectacles, terrible disasters, we endlessly interrogate our sporting stars, our dazed survivors, And how did you feel when….? Music, itself a narrative, itself something that can be both heard and read, is especially intractable to this. A radio commentary of a concert (perhaps fortunately) would be close to meaningless; music described, whether in musicology or fiction, is notoriously elusive, although some attempts, such as Charles Rosen's Classical Style , or E M Forster's account of Beethoven's Fifth in Howard's End , have achieved classic status. At one remove, then, why not write to elucidate the mind of the practitioner of music? The concert pianist of the title is Philip, in his early fifties, running away from his vocation, tormented by doubt not only of his own abilities, but also about the whole course of his life. In the book's opening scene, Philip realises with sudden, inescapable clarity, but too late, that, long previously, he made the choice of Art over Life, and dedicated himself to performance instead of -say- raising a family. It was the wrong choice. He decides to give up performing. One composer exemplifies Philip's own dilemma, Chopin. Pessimistic, depressive, constantly troubled by his ill health and therefore his own mortality. No coincidence, then, that Chopin's music dominates the protagonist's thoughts and the intellectual landscape of the book. How, then, is Philip's renunciation, and therefore the vocation itself, to be communicated to a general audience? Williams uses two devices – dialogues between Philip, other musicians and lay characters, and a scene where a documentary producer ‘interviews' Philip on what it means to be a pianist. In both cases, the reader may feel he is being lectured to, that the book explains what it might better simply depict. The musician characters necessarily speak with a degree of staged articulacy – they would not need to make explicit to one another the assumptions they all share. My experience is that in real life, musicians tend to lack the developed pedagogic bent that these characters display when speaking their fictional lay counterparts. Similarly, musicians never say things like ‘I should always be practising,' in reply to the question as to why they are not, at that moment, doing so. In particular, there is a Plato's Symposium -like set-piece in the centre of the book. Again, real musicians tend not to pursue the ‘examined life' amongst themselves. Their expressivity within a non-verbal language is precisely one of the strongest challenges to that imperialism of words. Instead, in this book, they speak in the way music lovers think and wish they should speak. Williams has, however, done his research well. Only one reference to record labels that had already become defunct or financially unviable by the time the novel is set is jarring. Otherwise, most matters of fact are very authentic, both in terms of the contours of the musical world, and the psychological condition of being a pianist. Real musicians and companies are referred to in convincing contexts, but are not characters. Real emotional responses – such as the disproportionately upsetting effect of a bad review – are no less true for being implausible to a lay reader. It need not be an advantage, as a reader, to know too much about the subject. For example, the musicological premise of Vikram Seth's An Equal Music was the discovery and performance of an unknown string quintet arrangement, by Beethoven himself, of his piano trio Op 1 No 3. But having grown up myself with an old LP recording of this work, this plot device seemed unconvincing. As for Williams' descriptions of music, these tend towards the phantasmagorical and gushing. Judging the right level of metaphor is, indeed, almost impossible – does one write about the physical contours of the music, or the feelings it evokes, or the thoughts of the pianist as he plays? Williams is to be commended for attempting all three, and for making the experience of playing the emotional core of the book, but making one's prose more purple, while sprinkling in a few musical terms, is not necessarily a successful means of conveying the power of the music. This is from a performance of the Chopin sonata: His semiquavers were super-articulate….he sensed in a flash he was fighting for Poland . It is not surprising that Williams works in the film industry – much of the book reads cinematically; it is told by action and dialogue more than internal monologue, while having the flaws of an over-wordy screenplay. The main characters would suit perfectly the Harrison Ford-Anne Heche Hollywood template of the older but still attractive man and the much younger starlet. Above all, unlike so many novels, it has a strong ending. However, there is no doubt, Williams resorts to melodrama to solve the Gordian knot of the intractable division between Life and Art. Moreover, no surprise that the life of so romantic a subject as the archetypal Romantic artist (albeit in a modern-day setting) can only have a Romantic solution. So will Philip play again? Surely we know at the start of the novel there is no story if he simply retires quietly to the countryside and breeds Labradors or grows rhubarb. Glenn Gould is famous as the pianist who gave up performance simply to record; but that continuing fame and our indulgence to his eccentricities arise purely from the quality of those recordings and of his previous performances. The fictional Philip becomes strikingly, inescapably aware of his own mortality, and so suddenly cherishes again the gift of performance he possesses. But the reason for coming to that awareness is the most clichéd and mawkish of all plot devices. Ironically, therefore, while Philip moves from doubt to self-knowledge in the story, the reader moves in the opposite direction – from illuminating and well-analysed insights about the futility of Art, its limitations as a way of living, its coldness as a consolation, to a conventional restatement of its ability to be transcendent. The Philip who feels empty after performing is far more realistic than the one who feels redeemed by it. This is an admixture of ‘chick lit' with ‘classical music explained for the chattering classes.' In the strap lines with which Mr Williams will be familiar, this is Jilly Cooper meets Alain de Botton. It is a book trying to be three things – a philosophical excursus on the relation between Art and mortality, a psychodrama on the life-path of the artist, and a domestic love story. It only partially succeeds in any of these. Read this book review in conjunction with the extraordinary story of François-René Duchâble, a 'consciously visual artist' in his prime, who has abandoned his 'lonely, ultimately unsatisfying career', and in 2003 at around 50 chose to take 'early retirement' from the treadmill life of a concert pianist. 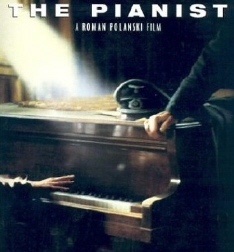 The Pianist, Wladyslaw Szpilman's wartime memoir, was turned into a film by Roman Polanski, made with deep respect and love. It might be described as the obverse of The Concert Pianist, in that instead of being an exhaustive investigation of such a pianist's mentality, it is instead a story where the pianist's profession is critical only at one, catastrophic instant. It is near the end of the Second World War. Spilman had a successful career as a pianist broadcasting on Polish radio before the war, and survived the Warsaw ghetto playing in a Jewish café. But now the ghetto has been cleared and Spilman is in hiding, absolutely alone, his life dependent on finding abandoned food and water. Suddenly, he is discovered by a German officer, who swiftly interrogates him. Spilman tells him his pre-war occupation; the officer has him play a piano in the empty house where they meet, and Spilman manages a performance of Chopin's first Ballade. The officer, a music lover, not only spares his life but even brings food and water to his hiding place. And so Spilman survives, although in a moment of bathos, he is nearly shot at the moment of liberation, when the Russians think the army greatcoat the officer has given him means he is a German soldier. In the rest of the book, although there are a few anecdotes about Spilman's playing and his radio broadcasts, music is not an essential constituent; this is a wartime memoir of survival, far-fetched but entirely true, for all those who had more predictable lives perished. But for that one moment, Spilman's art literally saved his life, and so the book belongs also in that more restricted canon whose membership is shared by such as Elisabeth Lasker-Wallfisch's account of playing in the Auschwitz orchestra. Spilman's story has a happy ending; his German saviour's, alas does not; captured by the Russians, he dies in a prisoner of war camp; the letters he writes to attempt to contact Spilman arrive only after he has already perished. This contrast between the two books exists at a fundamental philosophical level. We can ask ‘What relation should there be between Art and Life?' In the writings of Schopenhauer, Life was brutish and completely meaningless; Art one of the few things that made it bearable, but which exposed its meaninglessness. Thomas Mann made this theme a set-piece for his great novel Buddenbrooks , where a successful merchant family falls into madness and ruin through increasing involvement with the arts. In the key scene, one of the protagonists reads Schopenhauer and is lost thereafter. 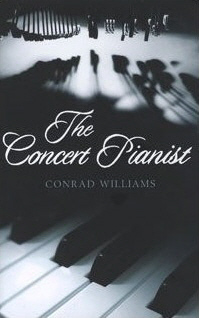 Conrad Williams' The Concert Pianist is in this genre – the pianist finds what he does meaningful, but it teaches him that life as a whole has no meaning outside his art . The Pianist makes the opposite claim, the claim we most associate with Schopenhauer's older friend Goethe. Goethe was suspicious of Schopenhauer's pessimism, for him, Art was a complement to and a fulfilment of Life. There is no contradiction between the two, rather Art gives Life .